"The Fat Flush Plan will provide you with a detailed step by step, day to day and week to week plan and recipes that will help you reach your weight loss goals. Additionally, the book will bring you up to speed on important health topics such as detoxification, journaling and exercise to make sure your journey in self-care is safe and free from trouble and some side effects." " A superb book...belongs in the company of the half dozen best how-to books on diets written..."
THE FAT FLUSH PLAN's unique, groundbreaking program targets cleansing the liver - the largest, most versatile organ in the body - and the one most essential to maintaining optimal body weight. Based on a satisfying, healthful, and cleansing combination of essential fats, balanced proteins, and quality carbohydrates, this detoxifying process boosts the liver's ability to function at its highest level, accelerating weight loss while improving your health. Simple, safe, and highly effective, THE FAT FLUSH PLAN is an excellent way to begin dieting as well as to continue weight loss. This program can successfully break through the stubborn weight loss plateau every dieter faces, "flushing out" stubborn fat while retaining crucial nutrients. Then, here, at last, is a diet that combines common sense and sound science, making it the perfect choice for both first time dieters and those who have had varying levels of success on other programs. Try THE FAT FLUSH PLAN for accelerated weight loss and weight control while managing hormones and bringing out your most radiant looks! THE FAT FLUSH PLAN is the only system that uncovers and corrects the five hidden factors that sabotage weight loss and vitality: liver health, food sensitivities and resulting waterlogged tissues, fear of eating fat, excess insulin/excess inflammation, and stress. This initial two-week phase will jumpstart weight loss for dramatic results. Your shape will be transformed as pounds melt away from your body's favorite fat storage areas – your hips, thighs and buttocks. 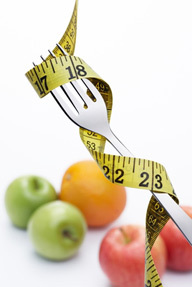 Some individuals report up a loss of up to 12 inches during this first phase of the diet! This is the next step for those individuals who have additional weight to lose but who also want to pursue a more moderate cleansing program and enjoy a bit more variety in food choices while still losing weight. Phase 2 is designed for ongoing weight loss, until you reach your desired weight or size. Phase 3 is the Fat Flush ® maintenance program for lifetime weight control. This phase provides guidelines designed to maintain your healthy weight, and to increase your vitality and well-being for life. THE FAT FLUSH PLAN also includes detailed meal plans and recipes, an ongoing weight loss program, tips on eating out, and a newly developed lifestyle program for complete detox dieting. THE FAT FLUSH PLAN started the detox and diet revolution; it has become such a cultural phenomenon that it was even mentioned in two movies: Mean Girls and Last Holiday. Featured on The View, in Time Magazine, and named by O magazine as "one of the hottest diet contenders." � 2012 First Lady of Nutrition, Inc.. Above materials regarding the Fat Flush Plan excerpted from www.fatflush.com and used with permission. Disclaimer: All material provided on this page is for informational or educational purposes only, and should not be construed as a substitute for medical advice. Please consult a qualified health practitioner regarding matters of personal wellbeing.